Wanda, a complete, compact car refinish system, presents a simplified approach for mixing ratios of clear, primer and color and utilizes a universal hardener. Fewer components are needed, helping in the ease of use and reduction of inventory. 7000 Epoxy Primer is a two-component high-solid grey epoxy primer designed for the vehicle refinish market. Terrific direct-to-metal adhesion and VOC flexibility. It is easy to apply; providing excellent holdout and a smooth final appearance. 7000 Epoxy Primer is a versatile, user-friendly product that is good over multiple substrates; making it ideal for a wide range of vehicle repairs. It can be applied over polyester filler and offers terrific flow and holdout, durability and DTM adhesion. Direct-to-metal eliminates pre-treatment on most substrates. Provides excellent sprayability, flow and leveling for a smooth surface finish. VOC flexibility options, National Rule and Regulated Market compliant. Consistent performance in a wide variety of environments. Sometimes it’s the things you don’t see that are the most important. That’s why you want a primer that’s going set the stage for your color. Wanda 8100 2K Primer is a polyurethane high build primer filler that offers good adhesion to properly prepared substrates. Its light gray color allows for easy topcoat coverage and optimal color appearance. With fast drying time, excellent sanding properties and durability, Wanda 8100 2K Primer is the Smart Choice to achieve that Smart Look. Seal the deal with what you know will be a great product for your job. Wanda Sealer is a wet-on-wet non-sanding sealer providing excellent leveling, opacity and topcoat appearance. Wanda Sealer does not require sanding prior to topcoat, so the job gets done quickly and efficiently. Extra gloss without the extra cost. 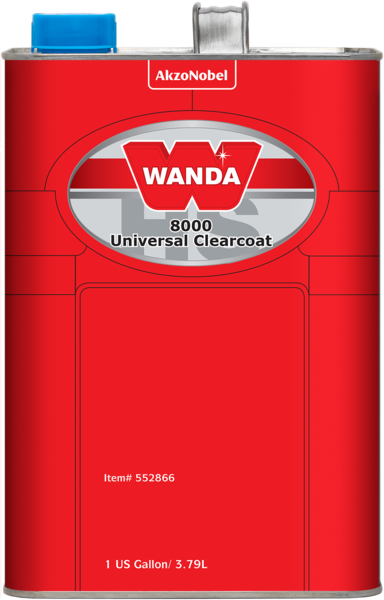 8000 Universal Clear is an economically priced clearcoat designed for refinishing over Wanda Basecoats. It provides good performance and appearance at an economical price for spot, panel, multi-panel and overall repairs; providing a complete refinishing solution in a wide range of environments. 8000 Universal Clear offers a high-gloss finish in either air dry or bake; offering reduced cost without sacrificing functionality. Easy to use, simple 4:1 mix ratio. Uses existing hardeners, no added SKUs. Terrific sprayability, great flow and leveling. Economical, refinish more with less. Looks aren’t everything, right? When you’re talking clearcoat, it is. Wanda 8100 is a fast drying clearcoat which has exceptional application, excellent appearance, strong durability and great gloss retention. This easy to spray clearcoat can be used for any size job from a small spot repair up to overall repainting without compromising performance or appearance. Offers speed and excellent sprayability. 8200 2K Spot & Panel Clear is an acrylic urethane clearcoat for use over Wanda Basecoats. It helps improve cycle time by providing the speed needed to get jobs done quickly for same day delivery. It offers high-gloss and is intended for air and baking conditions. It is designed to be sprayed over spot, panel, and multi-panel areas in a wide variety of environments; offering speed and increase throughput. 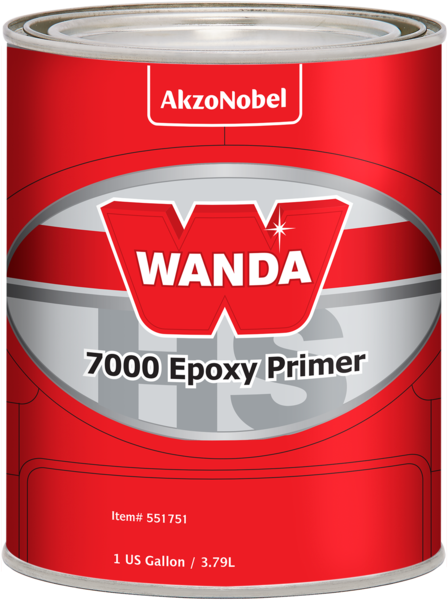 Wanda Plastic Primer is a universal, one-pack product designed to promote adhesion on most common automotive plastic substrates.